Berkery, Noyes & Co. represents Adams Business Media on the sale of its Financial Magazines to Highline Media, LLC. - Berkery, Noyes & Co., LLC. Berkery, Noyes & Co. represents Adams Business Media on the sale of its Financial Magazines to Highline Media, LLC. 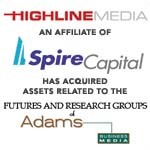 NEW YORK, October 12, 2005 — Berkery, Noyes & Co., LLC announced today that the firm represented Adams Business Media on the sale of the Futures and Research Groups of Adams Business Media ("ABM") to Highline Media, LLC. Adams Business Media is a diversified business-to-business communications provider with leading positions in seven strategic markets. Research is published monthly for financial services professionals with a focus on retail stockbrokers and financial advisors. In addition to coverage of specific investment ideas and trends, the magazine provides information on professional development, business practices, economic news and trends, and industry topics. The Futures Group publishes its flagship title, Futures, operates a content-rich web site, and provides additional information resources to professional and amateur traders of commodities, futures, options and equities. Berkery, Noyes specializes in investment banking for the information, publishing, tradeshow and communications industries. Among the 15 transactions completed by Berkery, Noyes this year are the acquisition by The Wicks Group of DesignWrite, Inc., the acquisition by Veronis Suhler Stevenson of Facts On File, the acquisition by ProQuest Company of Voyager Expanded Learning, the acquisition by Wolters Kluwer Health of Boucher Communications, Inc., the acquisition of Delta Education LLC by Schoo Specialty, Inc., the sale of the assets of Medquest Communications to VendomeGroup LLC and Bankers Systems acquisition of PCi. 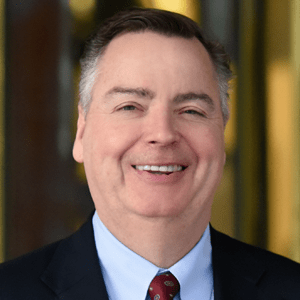 Berkery, Noyes’ clients include private companies seeking a buyer, and most of the major international information companies and private equity firms who use the firm’s expertise in locating, analyzing and negotiating with acquisition candidates and in managing divestitures. The firm operates with a staff of twenty-six professionals serving the information and publishing industry from offices in New York. For more information, visit www.berkerynoyes.com.